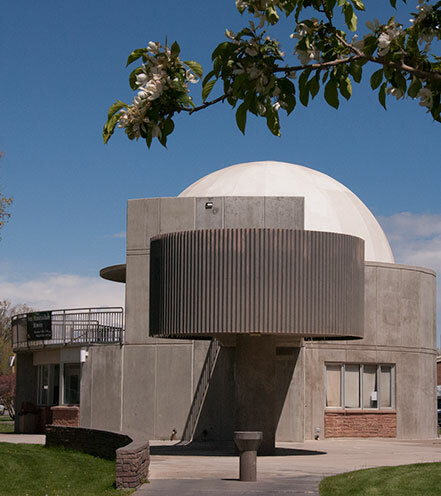 May 14, 2015 – This summer Adams State University Zacheis Planetarium is trying something new – Double Features every Thursday night. The first movie will start at 7 p.m. and the second will start at 7:45 p.m. There will be a break between movies to allow visitors to go in and out of the theater. “If the double feature idea proves to be popular, we will continue it into the fall semester, said Dr. Robert Astalos, planetarium director. All shows are free and open to the public on a first-come, first-served basis. Doors open at 6:45. Children must be accompanied by an adult. Visitors may attend both movies, or just one, on any given night. For more information and movie descriptions, visit Zacheis Planetarium Movie Library.